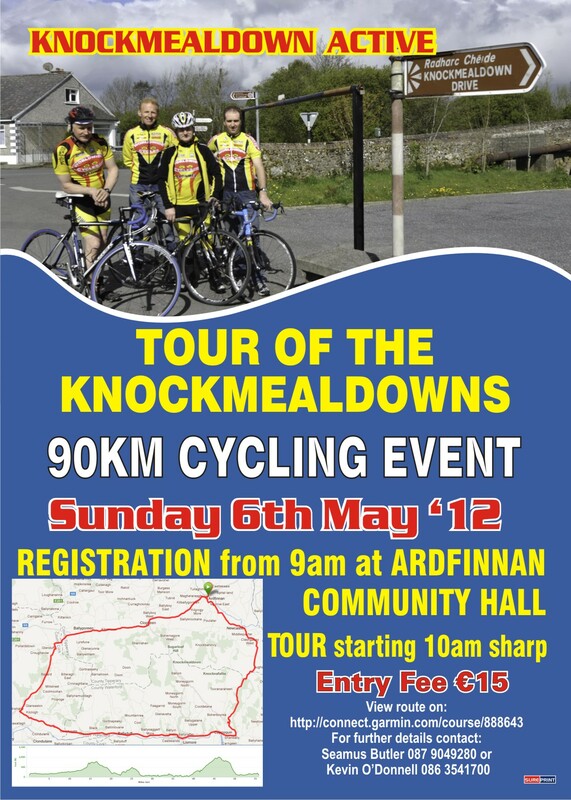 Knockmealdown Active will hold a cycling tour of the Knockmealdown Mountains on Saturday May 6th, 2012. Registration is from 9am at Ardfinnan Community Hall (in the middle of the town, beside the church across from the green). The cycle starts at 10am sharp.